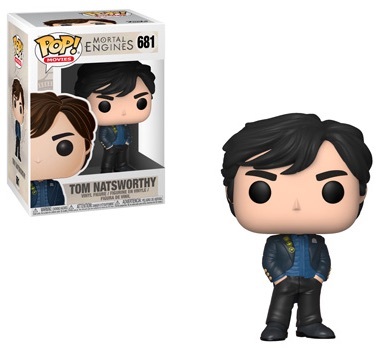 Moving the post-apocalyptic tale to vinyl, Funko Pop Mortal Engines highlights the stars of the 2018 film. 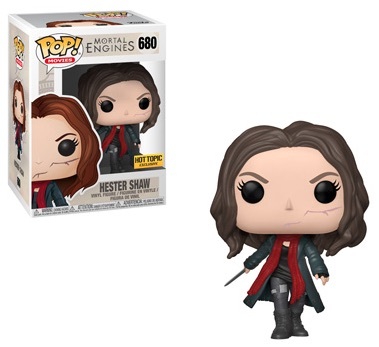 This includes multiple versions for the mysterious Hester Shaw, still plotting her revenge. Set in a steampunk London of the future, the figure styles are fairly subdued. 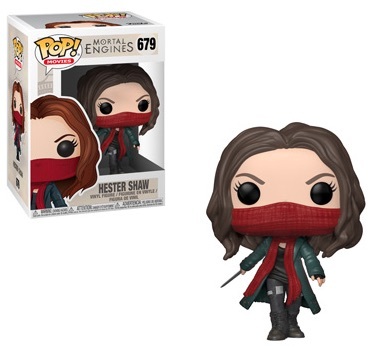 Hoping to protect her identity, the assassin Hester Shaw uses a red scarf to obscure her face. However, the unmasked Hot Topic-exclusive version puts her scars on full display. She is joined by a more casual Tom Natsworthy. 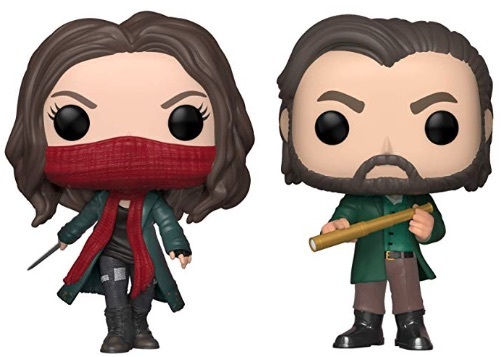 Shop Funko Mortal Engines Figures on Amazon. 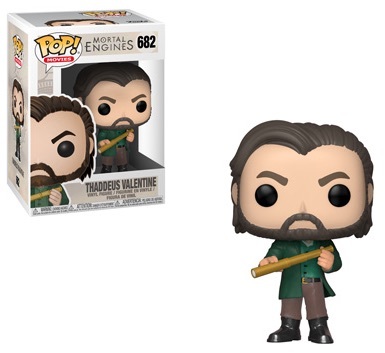 An important man in this savage world, Thaddeus Valentine wears green and holds a telescope. 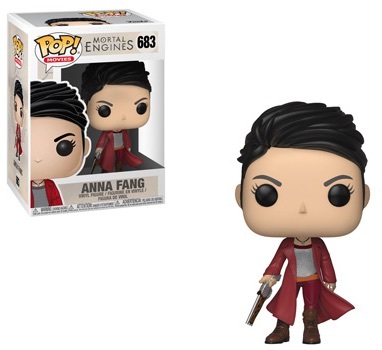 Anna Fang, leader of the resistance, is less subtle, dressed in a red jacket and wielding a pistol. Based on the Philip Reeve novel, Peter Jackson of Lord of the Rings fame is a producer and screenplay writer for the movie. Shop specific options on Amazon or eBay using the links below.